Released 6.21.16 with X-Rays and Open Transmissions Bonus Disc! This album, while being a significant departure from the heavily layered, overdriven electric guitar sound of the lighthouse album, still seeks to push the envelope of dark psychedelia further, both subtly and not so subtly towards experiences that are at once outwardly vast and inwardly focused. 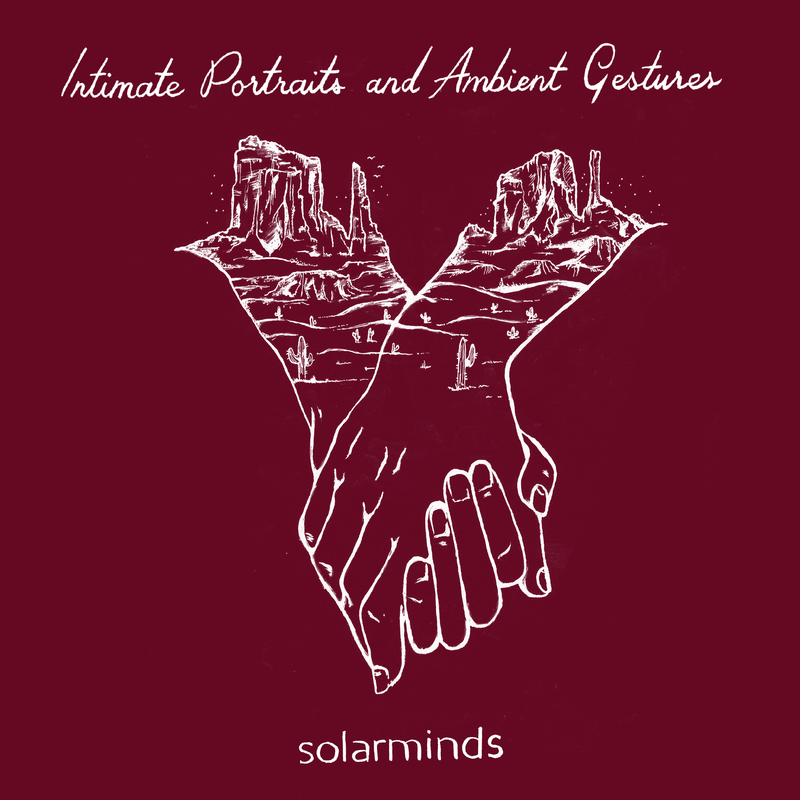 While solarminds’ debut album was more influenced by post-rock noise and drone sounds of bands like SWANS, This Will Destroy You, and Mogwai, the new album takes the listener on a more experimental, and synth driven journey (while still feeling very organic and real) inspired more by bands like Dead Can Dance, Legendary Pink Dots, and even PJ Harvey. 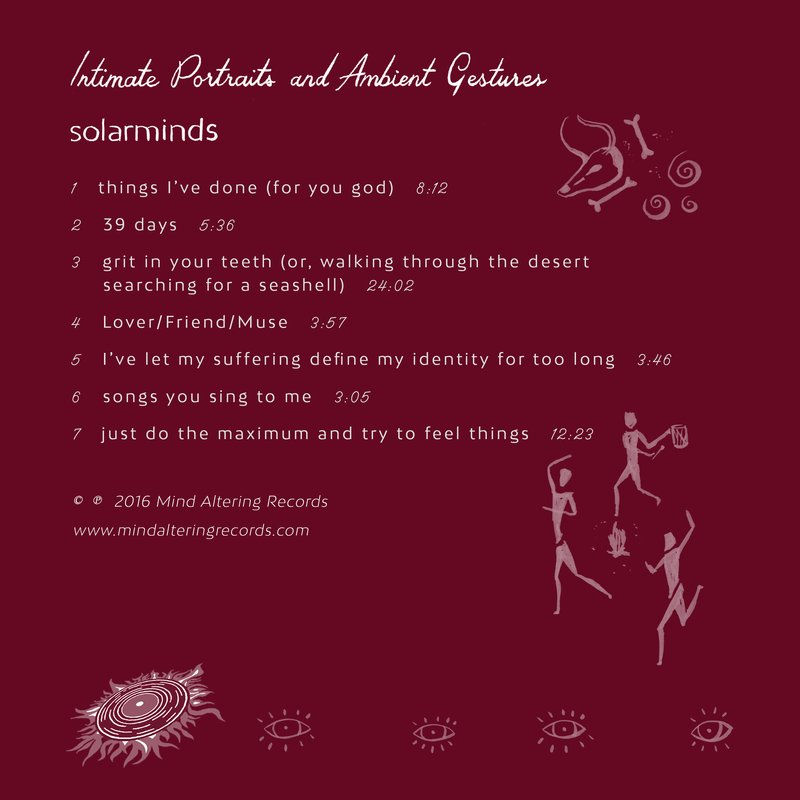 The full length album alternates between the raw and the intimate, and mood setting, dreamy, ecstatic soundscapes. 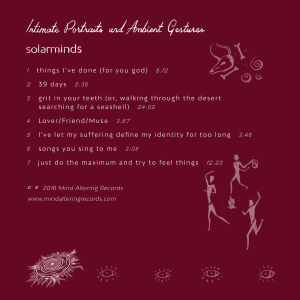 The album also incorporates several manipulated field recordings I captured while in India in the summer of 2011. As on the debut album, solarminds still explores themes of spirituality and existentialism, but whereas a lighthouse for the Sun celebrated and expressed a connection to the divine, Intimate Portraits and Ambient Gestures seems to touch upon more of a sense of longing for or even disconnection with the divine, while focusing more on the human spirit and inter-relatedness. It is an exercise in vulnerability, transcendence, and self-discovery. Carolyn Chamberlin, Isabel Diamond, David Jevans, Judith Hunt, Aiden Jevans, Maya Jevans, Stacy Bengtson, Josh Visick and Parish Burns, Craig Cadwell, Tom A. Marra, Paige Minichiello, Wes Saeger, and Grace Jimenez. This album would not have been possible without your generosity and extra support.